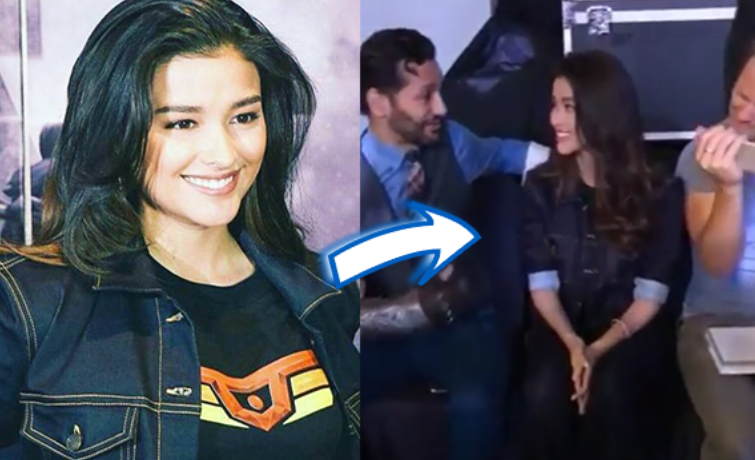 Hollywood Stars ”NAPA NGANGA SA GANDA NI LIZA SOBERANO” During a ToyCon Event! During the 2017 Toycon event, Liza Soberano and some Hollywood stars Had their chances to meet eye to eye. With no surprises, all of these internation stars were all amazed with Liza Soberano’s inside and outside beauty. In an interview, Liza Soberano’s manager Ogie Diaz revealed that his talent is now considered by Hollywood to play lead role a project that is yet to be announced. However, Liza’s management has declined the offer due to the actress’ tight schedule which solely center on her preparation to becoming the next Filipino heroine, Darna. 2017 is certainly Liza Soberano’s year, after being chosen to be the next Darna and a lot of engagement and projects on side, Hollywood is now eyeing the Kapamilya actress to star in a project. Take note, she’s been offered a lead role! “Bida siya kaya lang hindi nila ma-swak sa schedule. Isang movie ang offer na siya ang bida. Hollywood movie. Hindi lang nila alam kung sino ang makakasama nito. Maganda ang kuwento at gusto ni Liza ang problema nga lang saan naman namin isisingit,” Ogie Diaz told the press. Furthermore, Liza’s manager announced that Netflix is inviting the beautiful young actress to their event in Singapore but again turned down the invitation because there’s no chance for Liza to attend the event since her schedule is full until December. “Yung sa Netflix, hindi ýun para maging star sa isang series. Gusto lang siyang makilala, makita, at gusto nilang mag-grace si Liza sa okasyon nila sa Singapore,” the comedienne-manager confirmed. With the said news, many Liza’s supporters felt a bit of regret since the Hollywood role would help the actress’ star to shine brighter and be recognized internationally not only for her beauty. Meanwhile, some of the fans understood Liza’s management decision for the sake of not compromising the actress’ health. As of now, Liza Soberano is busy with her engagements in the Kapamilya network, endorsements and of course, the upcoming movie adaptation of Darna.